To accelerate the adoption of laser powder bed fusion for series production applications, engineering company Renishaw has expanded its global network of additive manufacturing (AM) Solutions Centres. New facilities in Barcelona, Spain and Torino, Italy are now operational to allow local companies to access Renishaw’s equipment and expertise at a fixed and predictable cost. Launched in 2016, Renishaw’s Solutions Centres enable businesses a secure development environment to build their knowledge and confidence using AM technology. The facilities are equipped with the latest AM systems, including Renishaw’s multi-laser machines, alongside all the metrology, finishing and machining equipment required to make a functional part. Users of Renishaw’s Solutions Centres run projects to build their knowledge of the AM process, understand the product performance impact and assess the capability and costs of the technology. The centres are staffed by local AM specialists, who work closely with customers on the engineering projects. Renishaw offers support throughout the investigation and business case development process, so companies can optimise their designs and gain the required evidence to make investment decisions. “The Solutions Centres have proved to be a successful way for manufacturers to accelerate learning about this new technology,” explained Marc Saunders, Director of Global Solutions Centres at Renishaw. 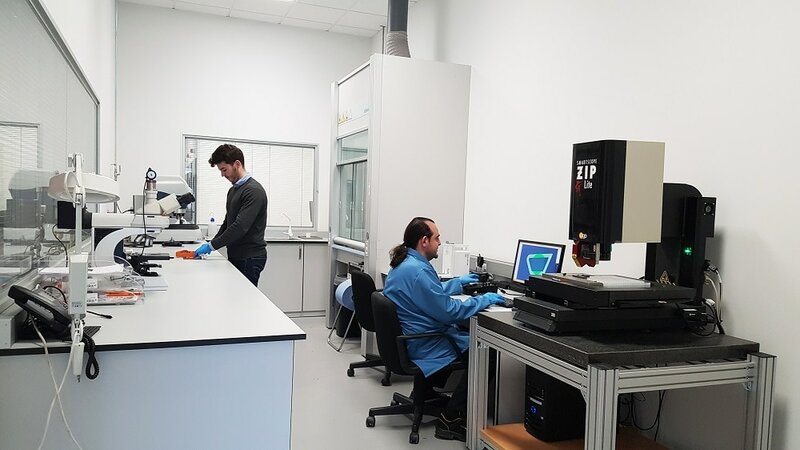 “Early users of the Solutions Centres, who have benefitted from accessing our facilities, are now deploying Renishaw’s multi-laser, productive additive manufacturing systems in their own facilities. Renishaw has invested significantly in its subsidiary network, comprising of over 70 offices in 36 countries. It has recently expanded to new, larger locations in Barcelona, Spain and Torino, Italy, which has enabled the establishment of new Solutions Centres. Renishaw now has AM Solutions Centres operational in India, Canada, America, China, Germany, the United Kingdom, Spain and Italy.